Earthbag technology is an inexpensive, simple and sustainable method for building structures. Having evolved from military bunker construction and flood control methods, Earthbag buildings are notable for their ability to endure fire, flood, wind, earthquake and vermin, and are used in disaster-prone zones all over the world. 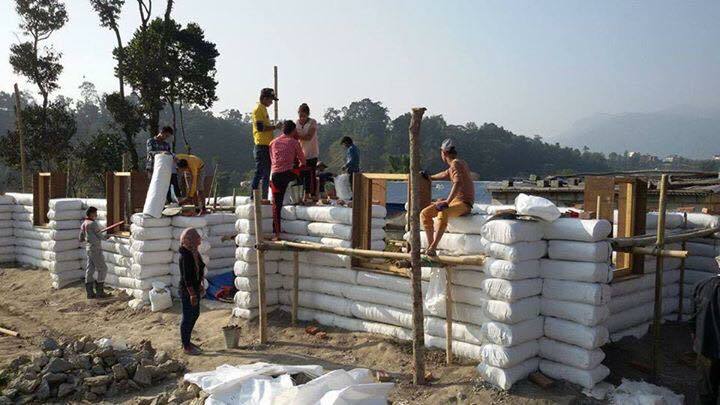 In Nepal, 55 Earthbag buildings survived a 7.8 magnitude earthquake with no structural damage. Because Earthbag technology makes minimal use of cement, concrete, steel and timber-and the fuel needed to transport them-the technique is easy on the environment, and doesn’t deplete scarce natural resources. 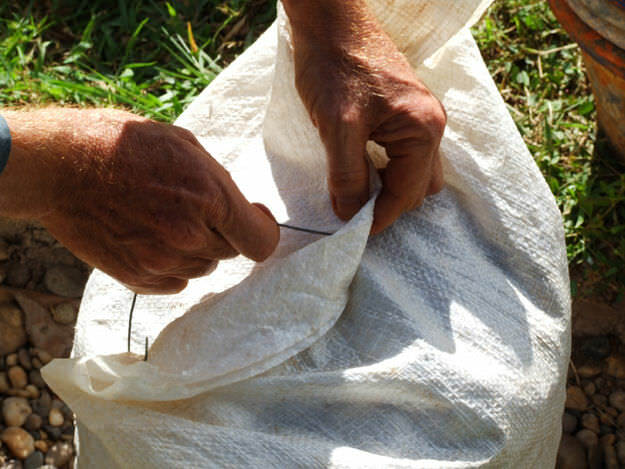 Earthbag technology also requires less expertise than more traditional building methods, and only the simplest of tools. Earthbag technology is a wall system, with structures composed primarily of ordinary soil found at the construction site. The soil is stuffed inside polypropylene bags, which are then staggered like masonry and solidly tamped. Barbed wire is used between the layers of bags and serves as mortar. For seismically active zones, reinforcements like buttresses, vertical rebars and bond beams are recommended. The classical foundation used in Earthbag construction is a rubble trench foundation. The roof design can be of any preference, as long as it is lightweight.